Do you regret a tattoo from your past? Here are some ideas for tattoo cover up and how you can rework an old design into something new. Remember when people used to view “The Tattooed Lady” in circuses as a curiosity? These days, it’s much less common to meet people who don’t have tattoos. But often, where there are tattoos, there are regrets. Enter the thriving market for tattoo cover up work. Although tattooing permanently alters your body, you are never stuck with a tattoo from your past. We all may forget to think before we ink sometimes, but there is plenty of colorful assistance available. If your existing tattoo is needling you, read on to find out some ideas to rework your work. Remember a few years back when the big adult coloring craze swept the country? Before all the Outlander, Pusheen, and other character coloring books appeared to jump on the trail, the first adult coloring books focused on mandalas, which were incredibly intricate healing designs from Tibet. When you incorporate a mandala onto your body as a tattoo cover up, you too may experience some of that healing and inner peace. Of course, the lowered stress and anxiety promised by the coloring books went to the person doing the coloring, which would be your tattoo cover up artist. But there are probably some benefits to working with a peaced-out tattoo craftsperson, especially if you’re already under stress to get rid of existing work. The benefit of adding a mandala over your artwork is that you can select any size and amount of colors. This will perfectly block out your existing design. Keep in mind that the more colors and the more vibrant those colors the more painful the tattoo may be. Especially when going over the existing scar tissue. That familiar, lounge-lizardy catcall pickup line is so stereotypical that it’s enough to make most of us cringe. But sometimes your zodiac sign can actually turn out to be quite a successful tattoo cover up. 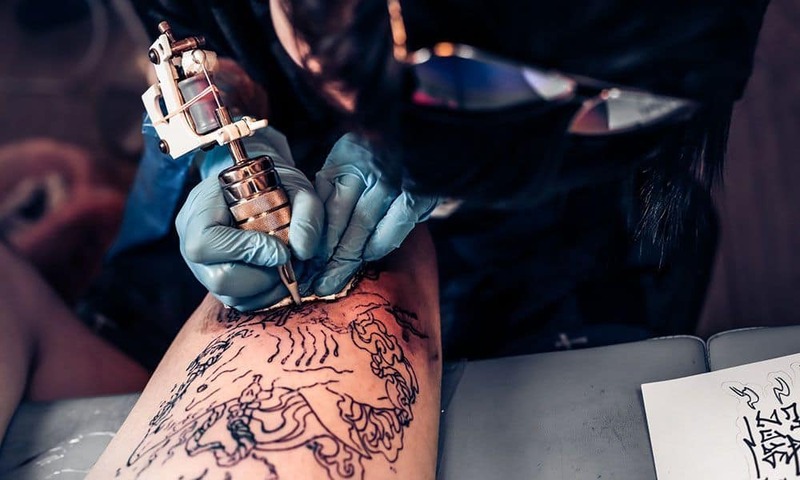 We sometimes forget that we shouldn’t always tattoo a temporary image permanently onto our bodies, but our zodiac sign is a permanent part of ourselves that many people find a good piece of art worthy of forever ink. Fortunately, our zodiac signs don’t change, so you don’t have to worry about inking over a lover’s name or a not-so-worshipped sports team insignia. Cover up a tattoo mistake by bragging about your feisty, fiery Scorpio self, complete with a sharp stinger and piercing claws. If you need to reach a little deeper, try exploring other types of zodiac, which include tattoo-ready symbols and designs from Indian, Western, Tropical, and Sidereal astrology. Surely you’ll feel akin to your true nature in one of those signs. And don’t forget your spirit animal either. Remember Harry Potter’s Patronus? Think deep about what you feel closest to in nature. And no, it doesn’t have to be something that already exists – if your spirit animal is a six-legged, winged cat with a unicorn horn, that may be your perfect tattoo and one that you’ll actually be happy to look at for the rest of your life. The picture of the typical family has changed a lot over the last few decades. A tattoo cover up can be the ideal place to brag about your own personal family unit. One idea is to create a tattoo design that both fits your cover up area needs but also appeals to other family members. When you go in for your cover up, bring other family members too. Not just to hold your hand, but to get matching ink. This can create a bonding “clan” image for your group. Whether you’re related or not. If you’re lucky to have researched your actual family lineage and discovered a coat of arms, that could make a striking tattoo cover up. Also affording you a large image with lots of detail, color, and design to go over your existing unwanted work. We mean turning a tattoo mistake into something really beneficial and even life-saving. It’s called a Medical Alert Tattoo, and it can save your life. Not from tattoo-related embarrassment, but from everything from a peanut allergy to a diabetic coma to a Parkinson’s-tremor-related incident. You’ve more than likely seen, or maybe even worn, a medical alert bracelet. These are meant to convey information to a medical responder in case you fall into a distressed situation and cannot speak for yourself. While many people never take off the bracelets. Some find them cumbersome and even annoying, and they can get in the way of manual-labor intensive jobs. With a medical alert tattoo cover up, you can block the trace of a regretted tattoo while permanently protecting yourself at the same time. Contact us for a free consultation. Sometimes, you just need to talk to the experts and get some ideas. We’ll help you brainstorm because believe us, we have seen it all. And we have helped people transform unwanted tattoos into body art they are proud to show off. Click here to send us a message about what you have and what you want, if you know it. You can also email us a picture of your current tattoo so we can start thinking about a plan before you even visit. You can pop by our Las Vegas Tattoo Shop, Henderson Tattoo Shop or Maui Tattoo Shop for more information and meet our artists.